Pour A Cup Of Salt Down The Drain And See What Happens Next! If clogged drain is troubling you, using salt can help you. It’s effective. Learn how to do this in this article! Use a small jar or jug for mixing. 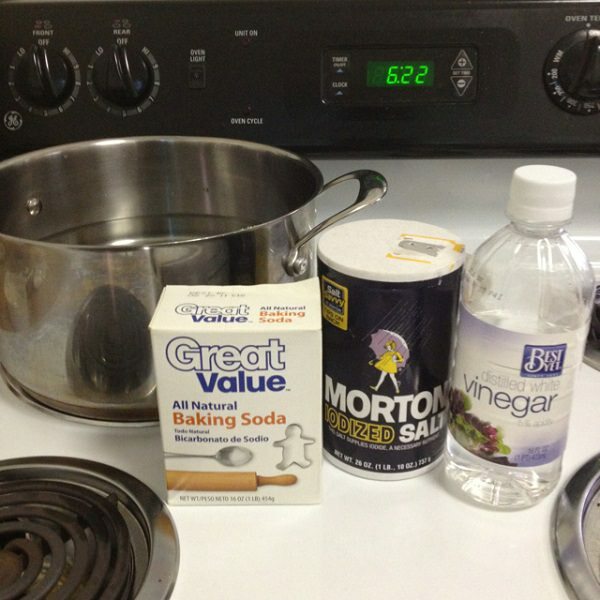 Put into the jar 1/4 cup of salt then add 1/2 cup of baking soda. Stir gently until they are evenly mixed. If your drain has a stopper, cap or a plug remove it. Pour the mixed content carefully to ensure it’ll go down the drain. If the mixture has spilled on the sides, sweep it towards the drain. Put 1 cup of vinegar into a jar and heat it until it starts to simmer in a microwave. If you don’t have a microwave, heat it on a stove. 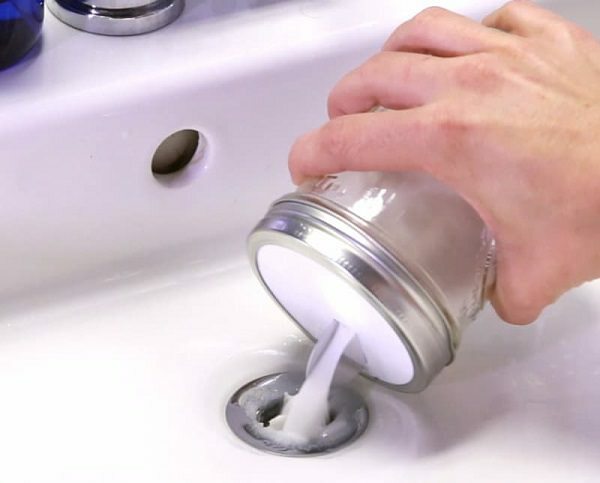 Pour the hot vinegar into the drain and immediately cover the drain using the stopper or plug or even with the base of the jar you used for mixing. 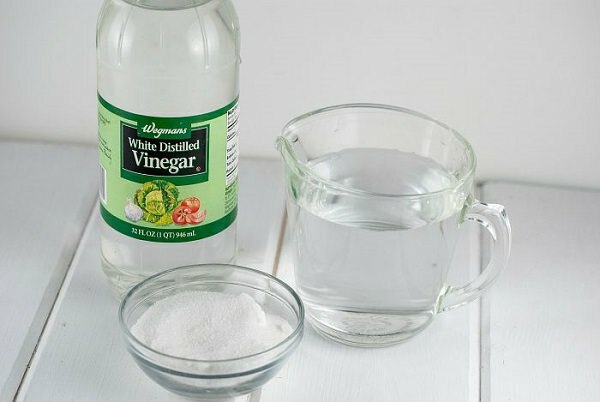 Once the vinegar comes in contact with baking soda, it will react and start bubbling and fizzing. Keep the solution in the drain for about 15 minutes to ensure the clog has fully absorbed the mixture or wait longer up to 30 minutes if the clog is difficult to get rid of. Once the clog is fully soaked remove the cover and pour down a bowl of boiling water to rinse. Lastly, you can run tap water to thoroughly rinse the drain. Running hot tap water will give better results. Pour 1 cup of salt into a small bowl. Add a cup of vinegar in it and stir gently to ensure that both amalgamate well. Add 1/2 cup of lemon juice to the mixture and stir thoroughly again until it is even. The lemon juice’s acidity will add unclogging power for better results. If the clog is located deep in the pipe, you can increase the quantity of vinegar to make the combination much thinner so that it can flow easily down the drain. To pour the mixture into the drain remove the stopper first, then pour the solution directly down the drain. Let it settle in the drain for about 15 – 30 minutes so that the clog can become fully soaked. The previous two methods used vinegar since it helps in eating through grease among other clogs. However, the abrasive and antiseptic properties of the salt also do an excellent job in removing clogs. For this, throw half a cup of salt directly down the drain. In the next process, boil 2 liters of water and pour it after the salt. Run hot water to rinse the clog. Repeat this process several times to get the desired result. To Have A Fresh & Clean Toilet, all you need is this!